Hi, my name is Jan. I have worked part-time for Associated Orthodontists, in the Eau Claire office since 1989. I love my job! I work at the front desk assisting patients and parents with scheduling, answering questions, taking care of correspondence, answering the phone calls, and just helping where needed. I live in Eau Claire and enjoy spending time with my family ( We love playing the Wii). I have two kids still at home and three grandkids living close by. This keeps me pretty busy! I love sports, (watching), especially football and soccer. My son is very involved in football and soccer. My husband coaches high school soccer and our daughter is the score keeper / time keeper. I enjoy working on and with all of our patients both young and old. It’s fun to watch our young patients mature, while our older patients can be full of interesting knowledge. When I’m not assisting with patients, I am somewhat of a Lab Rat, as I spend much time in the lab, pouring up patient models and making retainers. During the week, I’m always available to take care of any problems a patient may have. When I’m not working I like to go camping, bike riding, skiing, play tennis, take bible study classes and best of all, spend time with my 3 grandchildren. Hi, my name is Theresa. I have been working with Dr. Lamansky since July 2015. I started working for Associated Orthodontists in September 2016. I graduated from Chippewa Valley Technical College from the Dental Assistant program December of 2009. I have had about 3 years of assisting background before coming to Associated Orthodontists. I received my Bachelor’s degree in biology in May 2015. I work as a chair-side assistant helping Dr. Lamansky. I enjoy working with and helping our patients. It is amazing to see how dentistry and orthodontic treatment can positively impact patients’ lives. In my free time, I enjoy anything outdoors whether it’s fishing, icefishing, snowmobiling, fourwheeling, or camping. I also enjoy watching football, especially the Green Bay Packers, with my family. My passion is to one day become a dentist. 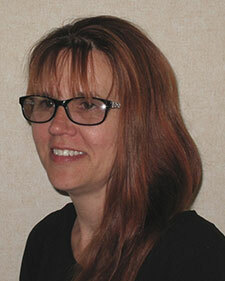 Hi, I’m Debby and I’ve been with Dr. Lamansky since August 2005, in our Wausau office and Marshfield since it opened. I am the office manager and some of my duties are appointment coordinating, insurance filing, and assisting our patients with insurance and or financial arrangements. I can help you get set up as a new patient and answer any questions you may have. I will do my best to make sure everything goes as smoothly as possible for you while you are with us. My favorite part of this job is that I get to meet so many wonderful families and learn a little about each and every one! Even though I’m usually trying to do 2 or 3 things at once, I love to hear what you’ve been up to, so don’t forget to take a minute to chat when you have time! I am a lifelong resident of the Wausau area. I am an avid Green Bay Packer Fan ( My all time favorite Packer is Ray Nitshke #66, I got to wear his Super Bowl I ring! ).I also can’t wait to meet a Packer Player with a new Superbowl ring!!! I’m also a proud Marine daughter, and am a member of the Man of Honor Society, which helps our active duty and veteran soldiers. I also enjoy spending time with my family ( I have 2 grown sons who I don’t see enough of) especially my grandson who is trying to get me into rap! We also have a dog, Gunny, and two Cats, Walter Trout and Michael Jackson, news bulletin, New Rabbit, Bugsy has joined us! 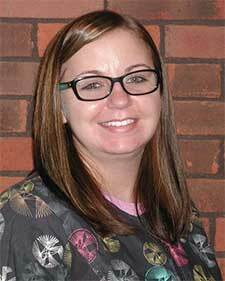 Hello, my name is Lynn and I have been with Associated Orthodontists since May of 2007 working in the Wausau office. I had 4 years dental experience before joining the team here. I am now a chair-side assistant working closely with Dr. Lamansky. I also assist with patient education and do most of our lab work, along with taking x-rays, photos, and impressions. The best part of the job is meeting new patients and I enjoy working with them one on one throughout their treatment. In my spare time, I enjoy riding Harley with my husband and spending time with my family and our pets. I have 2 children (one of each) who make each and every day something new! I also love the outdoors, camping, fishing, and bow and rifle deer hunting. The hunting season is great for us, because all the family goes out together for the hunt!